Start querying first MG novel. Get a bunch of rejections. Get a full request! Huzzah! Have phone call with agent. Double huzzah! Be told book is awesome, but too quiet to sell as debut. Huzzah? "Do you have any other books?" Scramble to finish WIP and send to agent, hoping it's enough to tip the scales. ...decided it wasn't meant to be, determined I wouldn't let it get me down, and that very night I submitted my manuscript to Pitch Wars. I didn't get any requests for additional pages. I didn't get picked as a mentee. I did get feedback. (Thank you Michelle Hauck and Joy McCullough!) And wouldn't you know it, they both said the same thing: lovely voice, hard to market the story. But they also had some really great advice on what they felt could be improved. Because of them, and tweets from some of the other mentors, I at least knew what I had done wrong in my query and I'd grown as a writer. I knew it was time to move on to the next book. So I didn't give up, and I kept going, and it was all rainbows and unicorns from there, right? It had been FOREVER since I'd made any real progress, and I was desperate to just FINISH SOMETHING, DAMMIT. I had three-quarters of a novel--why was the last bit SO FRIGGIN' HARD? I felt like a complete failure. Like maybe I should just give up on this whole writing thing. I felt like all I would ever be was an almost. It was really, really hard to write. 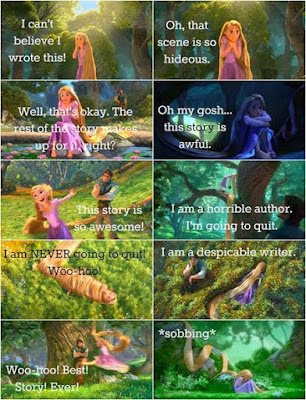 I ignored my manuscript(s) for weeks. But eventually I admitted it felt worse to NOT write. So I limped along. Some nights I think I managed to add one decent paragraph to my almost finished novel. Then, after borrowing Write Your Novel From the Middle by James Scott Bell from a dear friend/CP, I had a plot breakthrough. I thought maybe, just maybe, I could do this. 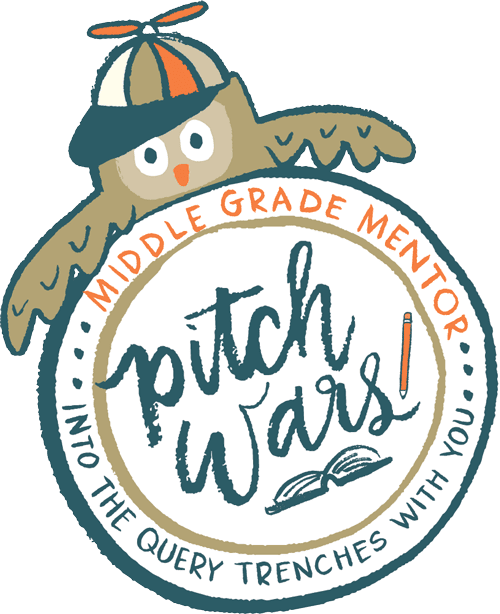 The Pitch Wars Mentor Blog Hop went live and I sat down to make a list of the mentors I wanted to submit my FINISHED manuscript to. Would I love to sit at the feet of a mentor for the next two months? Of course. But whether we get picked or not, or whether our manuscripts are all shiny and ready for the world or a hot mess that needs way more work, we'll have to remind ourselves to keep going. There's always more to be learned, more stories to write, more ways to improve. There will always be super awesome 2,000-word days and really, really crappy one-sentence days. If there's one thing I've learned thus far, it's that this writing thing takes a lot of working and waiting...and then working and waiting some more. I happen to think it's worth it. 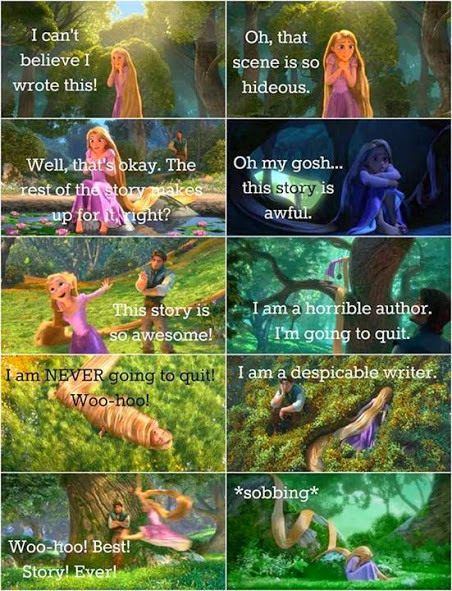 So for those of you in the Pitch Wars trenches (or the querying trenches, or the WIP trenches), let me be that annoying person who says it for the one hundredth time: DON'T GIVE UP. And THANK YOU Brenda Drake, and Pitch Wars mentors. Whether I get picked or not, I have a novel. I've gained invaluable advice from the mentor's tweets and blog posts, not to mention connections with other writers. I've remembered what it feels like to be passionate about telling stories. To be hopeful and positive and excited about my writing journey. This year's contest has seriously been so encouraging and helped me so, so much. It's been exactly what I needed. THANK YOU THANK YOU THANK YOU. Thank you for sharing this! For me one of the hardest things is putting your work out there and waiting for a response - plenty of time to doubt myself and my abilities! It's so true! And it's something that writers struggle with every step of the way. Even once you have an agent, then you have to put your work in front of editors, and once you're published then your work is in front of readers! It's an ongoing battle to fight the self-doubt. That's one reason community is so important - connect with other writers who are going through the same thing and encourage one another! Thank you so much for posting this. I've been making myself sick the last few days, sure I didn't get picked and terrified because I know I need a mentor to help me figure out what I'm doing wrong. I'm a tenacious worker, but sometimes that isn't enough. Stories like yours are really encouraging to me.